Spanning 31 years—with a tense, unsettled "peace" between them—the world wars were the defining conflicts of the modern era. This two-volume set chronicles these global conflagrations, illustrated with hundreds of dramatic photos, color maps, graphics, and timelines. World War I is vividly depicted through personal impressions of the fighting, letters home from the front, and haunting war poetry, while offering some challenging new interpretations of military events. 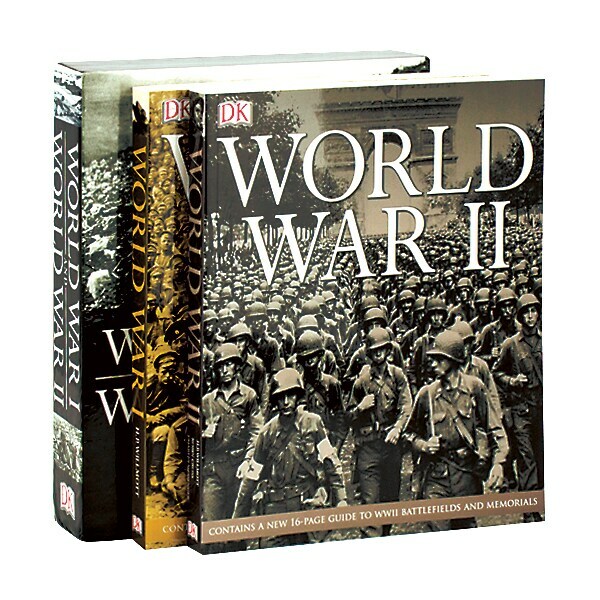 World War II evokes the epic scale of battlefronts across Europe, Africa, Russia, and the Pacific—and the appalling impact on civilian populations across the globe—through firsthand accounts from combatants and civilians.